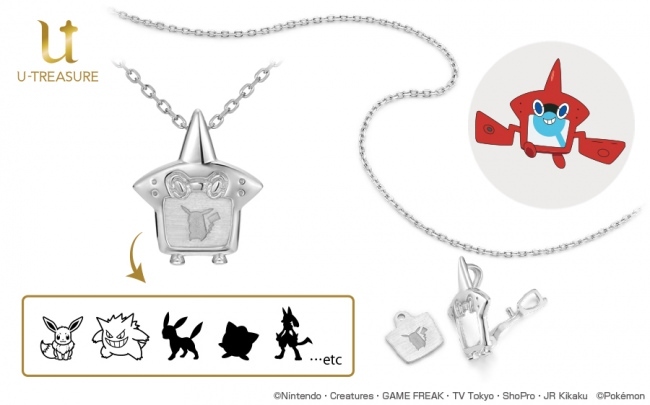 The Pokemon Company and U-Treasure have worked together to create a special Rotom Pokedex Switching necklace in Japan. 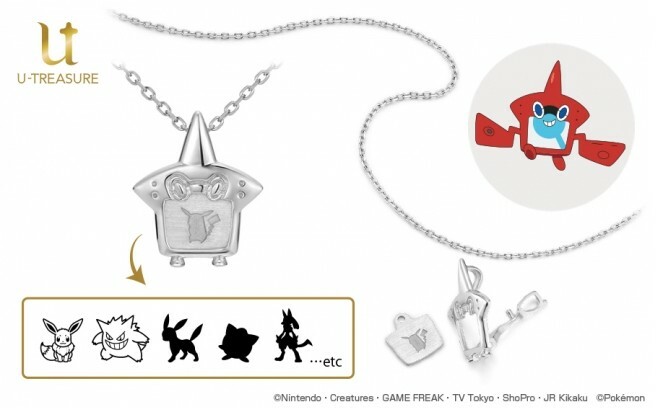 There are 87 different types of Pokemon you can place inside the Rotom Pokedex Switching necklace. 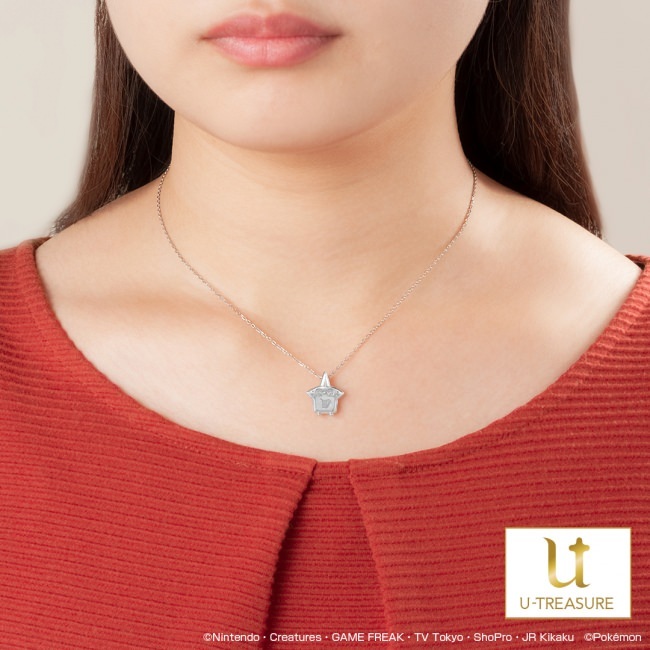 You can order the necklace starting December 1, 2018 in Japan. K18 Yellow Pink White Gold costs 62,000 yen, while Silver is priced at 16,800 yen.